Towards the middle of April, I heard that some school friends were backpacking through South East Asia. After comparing itineraries, we realized that we were going to be in Vietnam at the exact same time. 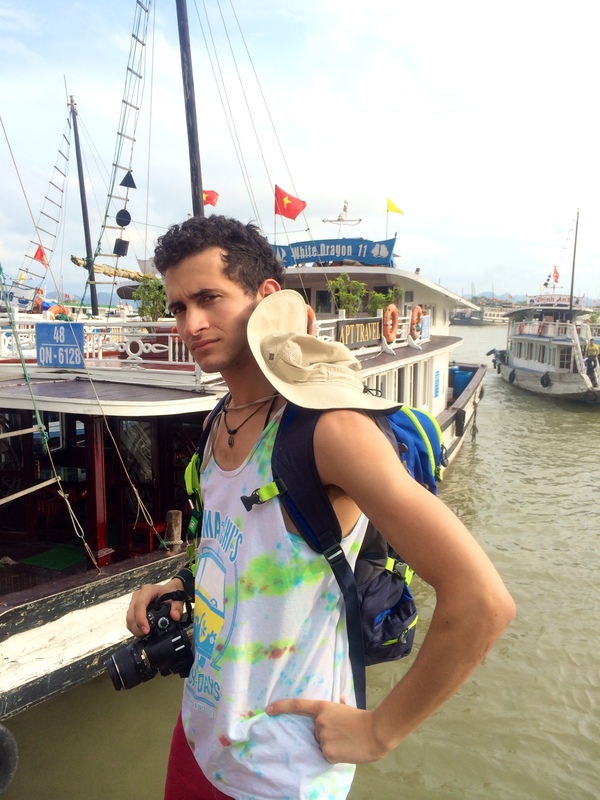 So we coordinated our itineraries to be in Hanoi at the same time- for 2 full days. 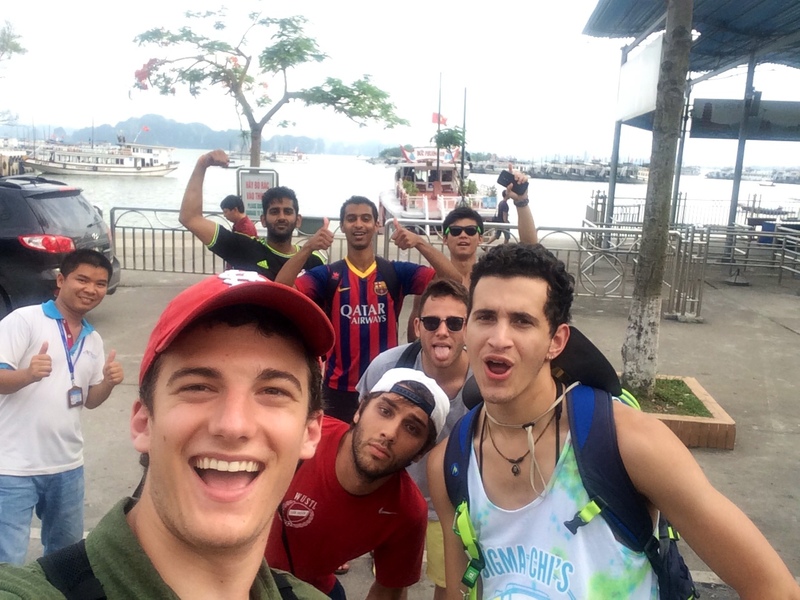 The Group of Six was Ajay, Dili, Dor, Emilio, Felipe, and Tim. Emilio and Ajay were in ThurtenE with me and all of them except for Ajay were in the same frat. 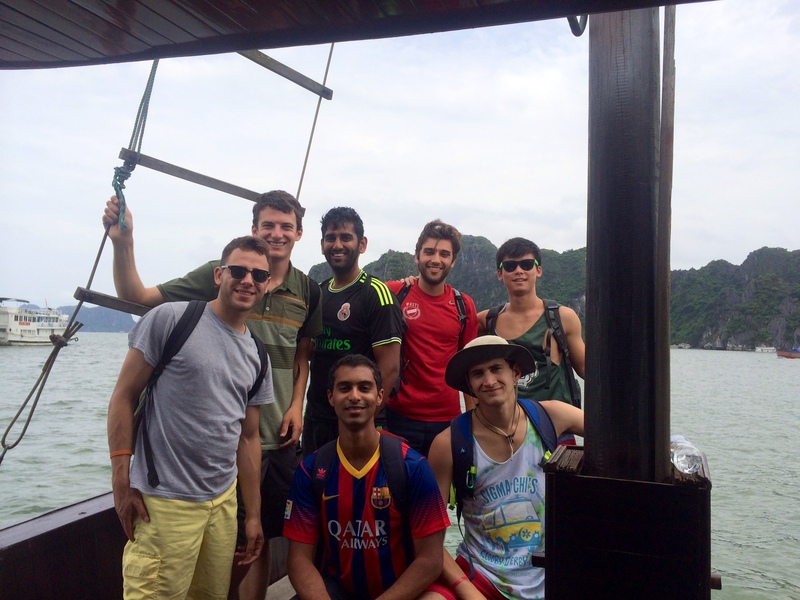 They were visiting 7 cities in 3 weeks: Hong Kong, Hanoi, Chiang Mai, Phuket, Bangkok, Koh Phagan, and finally Saigon. The group was extremely efficient for its size because of their unusual planning strategy: each person picked a destination that they would be “in charge of”. That person booked the flights to the destination and planned all of the activities and restaurants in the destination. This type of strategy only works if everyone is on board and there are no slackers. As Wash U students, everyone appeared to do their homework. Additionally, everyone had the willpower and respect to follow the lead of the “expert”. At this point in the trip, the Group of Six was a lean mean traveling machine. One of the best parts of traveling with the Group of Six was being able to have intelligent discussions. I’m not saying that backpackers are stupid, but generally when first meeting a backpacker, the conversations usually tend to swapping travel stories and discussing the cultural differences between your country and theirs. However, we talked about everything from the Krebs Cycle to Victorian literature to the administrative structure of Wash U to linguistics to video games. Being able to talk and listen to high-level conversations about diverse topics was really refreshing. 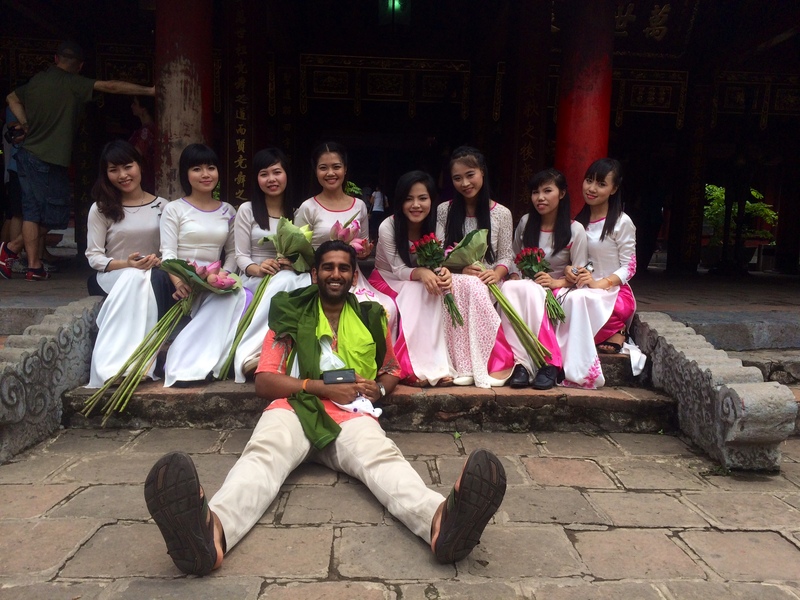 Ajay was in charge of Hanoi and it was really nice to have someone else do the planning for a change. I only helped out with directions because Ajay planned so well. Every restaurant we ate at was rated highly on TripAdvisor and every activity was planned out to the hour. 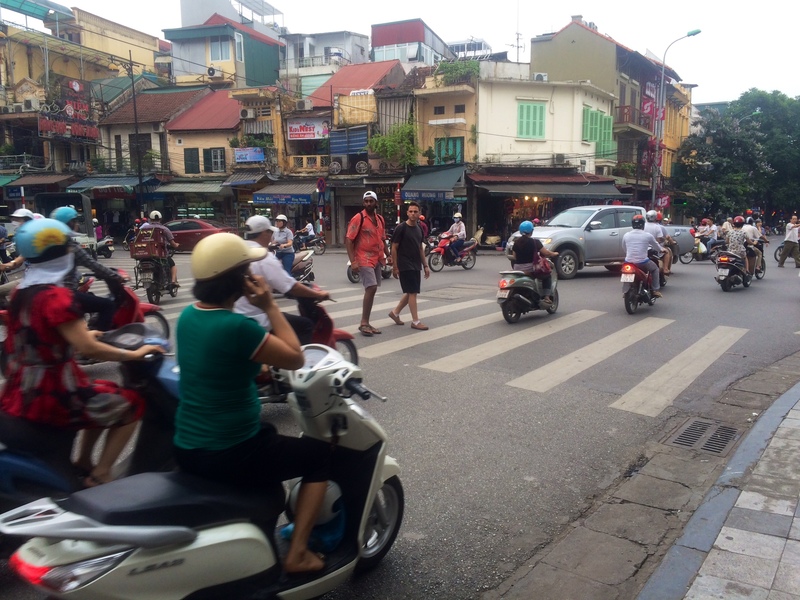 For the first day, we walked around Hanoi. We ended up doing exactly what I did 2 days earlier, so it was kind of like dejavu. We went to the mausoleum, house, and Ho Chi Minh museum before taking some hilarious pictures at the Temple of Literature. I actually enjoyed going back to the sites in Hanoi. Since I was with a group, it ended up being a very different experience than when going solo because I could see my friend’s reactions. 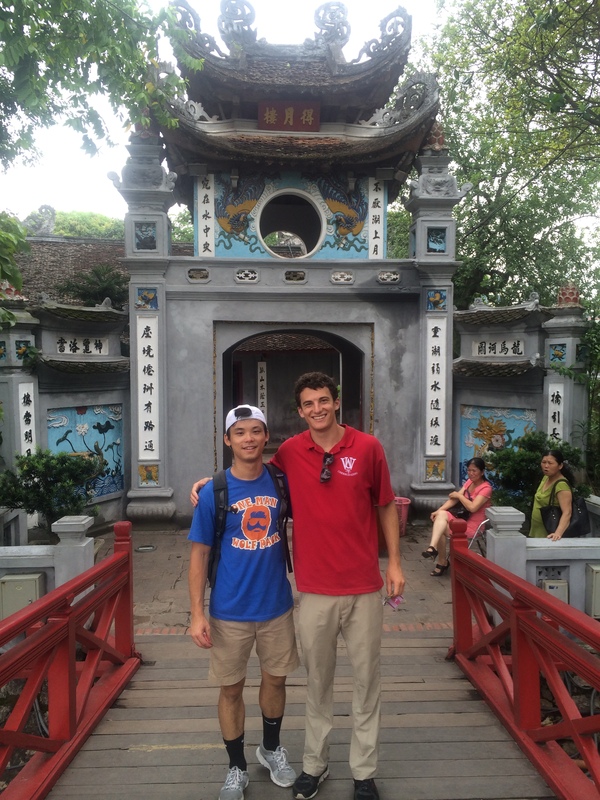 We then walked around the lake in the center of Hanoi and went to the temple in the middle of the lake. We also went to two cultural performances: the water puppet show and a traditional Vietnamese musical show. Hanging out with Tim in the middle of the lake. 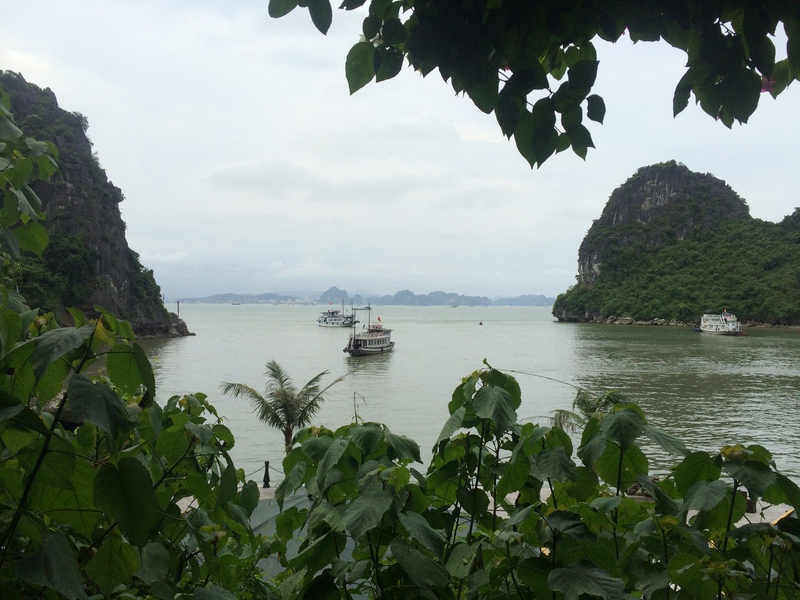 The next day, we took a day trip to Ha Long Bay, the most recognizable place in Vietnam. 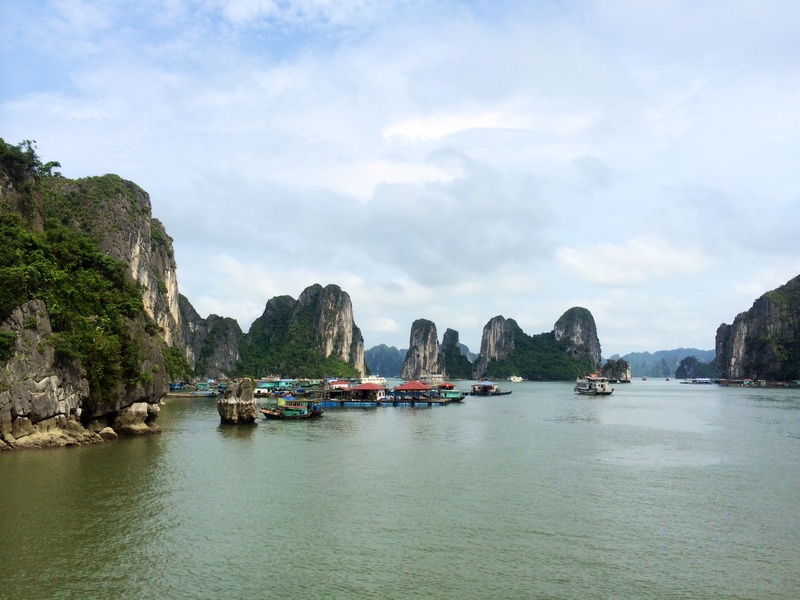 Ha Long Bay is considered a natural wonder of the world due to the karst limestone islands and steep cliffs in the bay. After getting lunch on the boat, we walked through a large limestone cave on one of the islands. We then cruised through a few more islands before kayaking through sea caves. While we spent 8 hours on a bus for just 4 hours in Ha Long Bay, we definitely saw enough of the place to get a feel for it. The highlight of the day was when Felipe finally beat the game 2048. He had been playing it for the entire trip and was determined to beat it. When he had 2 final swipes left to beat the game, Felipe got (relatively) emotional. I really am going to miss everyone and wish them the best of luck on their well-planned trip.